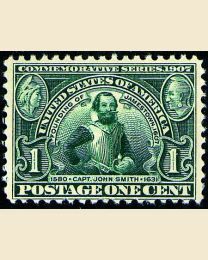 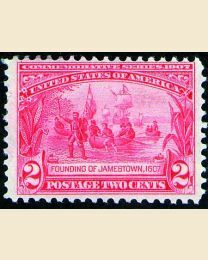 Issued in 1907, these three engraved Jamestown stamps celebrated the 300th anniversary of the Jamestown, Virginia colony, the first permanent English colony in the New World named in honor of King James. 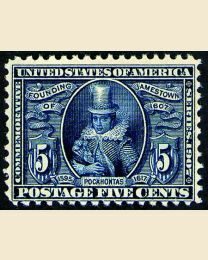 Among the settlers was Captain John Smith who was saved from a death sentence when Pocahontas, an Indian chief's daughter, interceded. 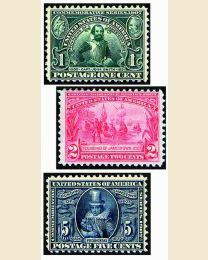 View our other old stamps for sale here at Kenmore Stamp.